For two years Brazilian voices have complained that U.S. policies of near-zero interest rates and “quantitative easing” have been damaging its economy. Lax monetary policies in the U.S. and Japan are blamed for the high valuation of the Brazilian real, which further suppresses Brazil’s languishing manufacturing sector. 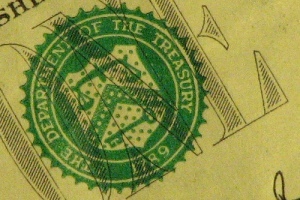 Tensions escalated following the September 2012 announcement of the U.S. Federal Reserve’s third round of quantitative easing. Now the debate has spilled over into discussions about Brazilian restrictions on trade. As Finance Minister Guido Mantega warns of a “currency exchange war,” Brazil is increasing tariffs on U.S. goods and foresees the imposition of taxes on inflows of foreign capital, which further inflate the Real. Writing in Folha de São Paulo, Luiz Carlos Bresser-Pereira argues that Brazil is acting in self-defense. The tariffs Brazil is contemplating are by his account not protectionist but simply an effort to compensate for the unfair advantage that the U.S. seeks to achieve through its monetary policy. The tension is spreading beyond Brazil, as currency appreciation is portrayed as a drag on manufacturing in much of South America. In an interview with CNN, Chilean President Sebastián Piñera criticized “QE3,” asserting that “printing money” would not solve U.S. economic woes. So far, Andean countries are responding by purchasing dollars and cautiously reducing interest rates, but the Brazilians, in particular, present protectionist measures as counter-cyclical tools of their own, necessitated by American attempts to “drive down” the dollar. The Brazilian and South American claims may be overdrawn somewhat; many experts believe that overvaluation is primarily a consequence of Chinese demand for South American commodities and the decision by most Latin American countries to maintain high interest rates in order to forestall inflation. But U.S. policies meant to boost job growth are indeed having unintended consequences in the hemisphere. There has been little thought in the United States of the external implications of Fed policy—beyond a belief that a reinvigorated U.S. economy would be good news for everyone. Brazil has been the first, and most vocal, challenger of a stance that always frowns on tariffs while presenting monetary policy as a purely domestic matter. It is a bit much for Brazilians to expect that U.S. monetary policy should be crafted with an eye to its impact on the region, particularly when conventional fiscal policy measures are thwarted by Congressional dysfunction, but Washington should not be surprised when efforts to tamp down its currency – not unlike Chinese policies that Washington condemns – are seen abroad as aggressive threats to competition.